23 year old Shayna Jo Afaisen won the title of Miss Universe Guam 2011 during a beauty contest held on June 3 at the Sheraton Laguna Resort. She was crowned by Vanessa Siguenza Torres, Miss Universe Guam 2010. Standing 1.75m tall, Shayna Jo Afaisen will represent Guam in Miss Universe 2011 beauty pageant to be held on September 12 in Sao Paulo, Brazil. The 1st run-up and awarded as Miss International Guam 2011 was the 18 year old Katarina Martinez. She will compete at Miss International 2011 beauty pageant. 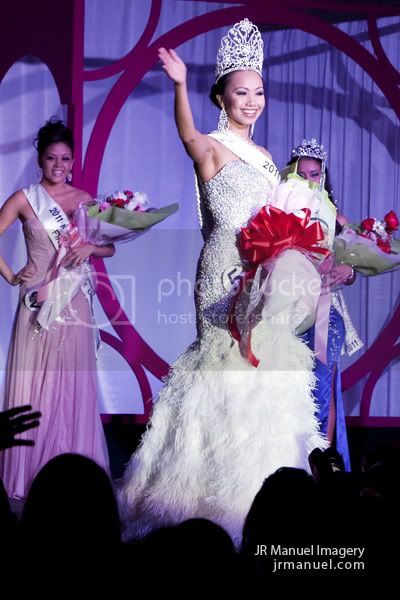 * Miss Universe Guam 2011 Wrong Girl Crowned!